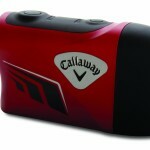 Home › Golf Rangefinder Reviews › What’s the Best Golf Rangefinder? What’s the Best Golf Rangefinder? Not so good at math? First time playing on a particular course? Whether you are a newbie, or a seasoned pro, using a golf rangefinder can help your game. With pinpoint accurate yardage information from your rangefinder, you will be able to make a well informed decision on what club to hit. It could be the difference between putting for birdie, and trying to save your double-bogey. So, what is the best golf rangefinder? Below is a look at some of the top options available on the market today. First, let’s take a look at what exactly is a golf rangefinder. 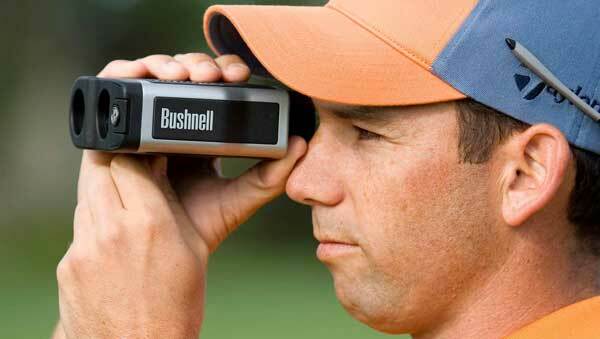 A golf rangefinder is an electronic device that looks sort of like a single-lens binocular. It allows you to quickly and accurately determine how far away you are from certain points on the course. You can use it when shooting for the pin, looking to avoid a hazard, or preparing for your drive off the tee. Instead of struggling to calculate in your head how far away a fairway marker is, you can use your golf rangefinder to get a quick and accurate yardage estimate. This makes it much easier to decide on what club to hit, and will hopefully help you lower your scores. 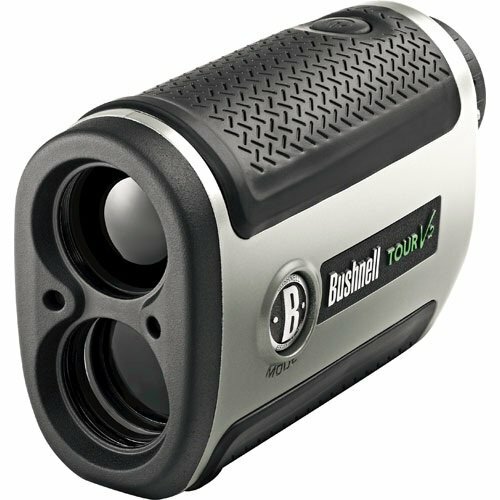 The best golfers in the world use rangefinders, and there is a reason why. With accurate and detailed yardage information, you will have more confidence in your club selection, and be able to lower your scores. It will be especially useful if you are playing on a new, unfamiliar course. Keep in mind that the best golf rangefinders can run upwards of a few hundred dollars. You should consider how much use you will get out of a rangefinder before you make the purchase. While avid golfers will certainly get their moneys worth, the same isn’t to be said for those who only pick up the clubs a couple times a year. 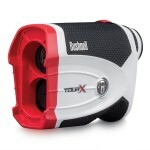 When trying to find the best golf rangefinder for you, you may be overwhelmed with the options that are available. However, you can narrow down your search by make sure to consider and evaluate some key factors that will be important to you. Size: How big do you want your rangefinder to be? Do you want it to be something that you can keep in your pocket, or is it more intended to be stored in your golf bag? Deciding this will help you determine what sized rangefinder works best for you. Battery Life: Some golf rangefinders require you to install batteries while others come with a rechargeable core. Either way, you’ll want to consider how long the batteries last and how much you’ll have to switch them out or recharge the device. Accuracy / Range: Probably the most important factor. After all, if you keep getting yardage information that leads you to use a 6-iron instead of a 7-iron, and you keep overshooting, then using a rangefinder is pointless. Choose a reputable device that is proven to be accurate, and has sufficient range for your game. Accessories: Some rangefinders come with clips, bags, lens cleaners and more. While some products will include all of these accessories, others will have to be purchased individually. Keep this in mind when you are considering the price of the rangefinder. 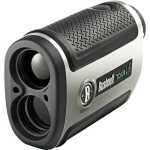 Price: You can pay anywhere from around $100 to upwards of $700 for top-of-the-line rangefinders. If you are not too serious of a golfer, you may want to consider the cheaper options. 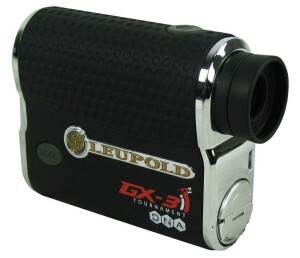 Golfers may not be familiar with the Leupold brand, because the only products they make are rangefinders! The Leupold GX-3i2 rangefinder is one of the top options in the market, that is if you are willing to drop over $300 to get it. The device has incredible range (700 yards) and accuracy (1/10 yard). The one-touch “scan mode” allows you to get distances to multiple targets in one look. 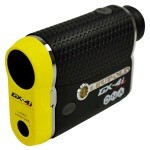 This rangefinder also works in a variety of weather conditions. The device itself is is small, sleek, tournament legal, and also comes with a nice carrying case. Whipping this thing out will definitely impress your golfing buddies. 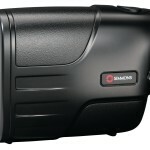 If price is not an obstacle, and you want the best rangefinder on the market, then this is the one for you. From one end of the price spectrum to the other, the Halo XRT can be found for around $230. 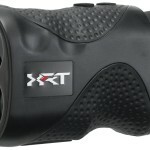 The XRT was actually originally designed for hunting, but has proven to work well on the golf course too. It offers 6x magnification with range capabilities of 400 yards, and gives accurate measurements to within 1 yard. The device is water resistant, comes with a nylon carrying case, and includes a 1-year warranty. The Halo XRT is bare bones and doesn’t provide some of the fancier features that other premium devices do, but if you are looking for a good entry-level device, then this may be the best golf rangefinder for you! This mid-priced golf rangefinder from startup TecTecTec is currently one of the most popular and highly rated options on Amazon. It is incredibly easy to use, has range of up to 540 yards, provides accuracy within 1 yard, and can be aimed at various targets (flag, hazards, trees, etc.).. The display is super clear, easy to read, and has 6x zoom. The VPRO500is small, lightweight (just 185 grams), and is built with strong material that is both water and dust resistant. It comes with its own carrying case, lanyard cable, and battery. It uses one standard CR2 battery, which can be easily bought at most convenience stores, grocery stores, etc. 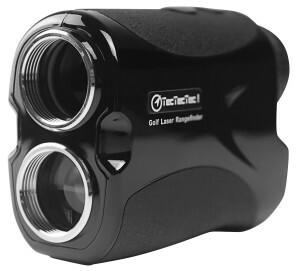 If you don’t mind going with an alternative brand, then you should definitely check out this golf rangefinder from TecTecTec. As a startup that is trying to break into the market, they offer excellent customer service. If your device has any problem, you can easily contact them to get it resolved. There is 60 day money back guarantee and a 1 year warranty included. Nikon is known more for making cameras, but they are also involved in sports optics…including awesome golf rangefinders! 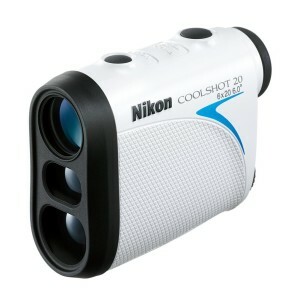 The COOLSHOT 20 is Nikon’s lightest, and most compact golf rangefinder. It weighs just 125 grams, and can easily fit in your pocket or golf bag, making it quick and convenient to whip out on every shot hole. The rangefinder has a range of 550 yards, 6x zoom, is accurate to within 1 yard, and has an 8-second continuous scan mode so that you can pan across the course. You can quickly and easily lock onto a variety of objects including hills, doglegs, trees, bunkers, lakes, golf carts, and of course, the flagstick. The COOLSHOT 20 is rainproof, and can even be used in harsh temperatures (-10°C to +50°C). Overall, the Nikon Coolshot 20 is easily one of the best golf rangefinders on the market. The performance will lack a little if you compare to a high end Bushnell or Leupold device, but for a price of under $200, this Nikon is of fantastic value. If you are looking for an affordable, quality rangefinder from a reputable brand, then this may be it. 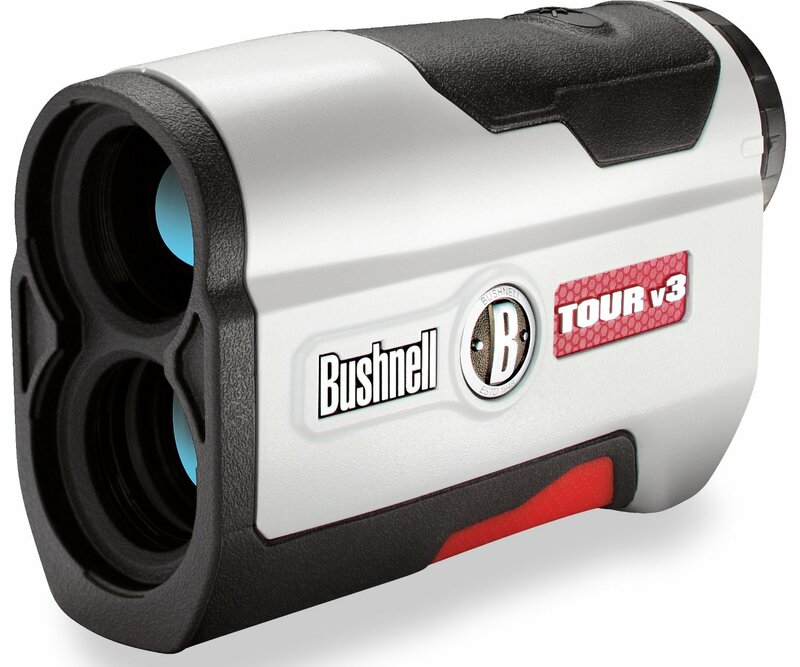 Bushnell is easily the most popular rangefinder brand, and is used by over 90% of PGA tour professionals. The V3 is a prime example why. Despite being a slightly older model, this device still outperforms many of the newer offerings on the market. The range capabilities on the V3 go up to 1,000 yards, which should be more than you’ll ever need, no matter how far you’ve shanked yourself into the woods! It is accurate to within 1 yard. 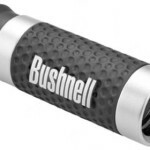 Bushnell is the proprietor of many key golf rangefinder technologies. This includes “scan” mode which will give you continuous yardage updates as you pan across the course. Bushnell’s famous “JOLT” technology is the main feature, which vibrates the rangefinder, so you know when you are locked on to the flag. The device comes with a rechargable 3-Volt Battery, carrying case, and includes a 2 year warranty. 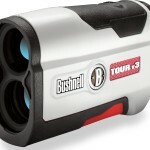 The Bushnell Tour V3 is of awesome value, and is our pick as the best golf rangefinder for the money. Use this chart to conveniently compare some of the top golf rangefinders on the market today. 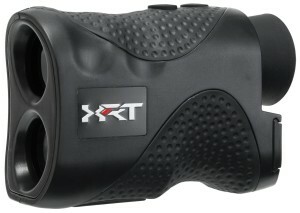 Halo XRT Laser Rangefinder $102 4.2 Made for hunting, but works for golf! Great cheap alternative to the top golf brands! Bushnell Tour V2 Standard Edition GOlf Laser Rangefinder $315 4.3 Older version of the V3 from Bushnell, but still works fantastic. 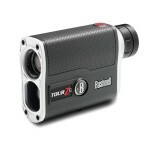 Bushnell 5x20 Golf Scope Rangefinder $50 3.3 Super portable and cheap, but limited yardage range (max 200 yards). Dont buy if you have shaky hands. 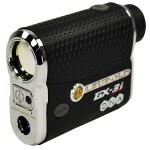 Leupold GX-4i Series Digital Rangefinder $350 4.2 Superb, well made device that works as advertised. A bit expensive though. 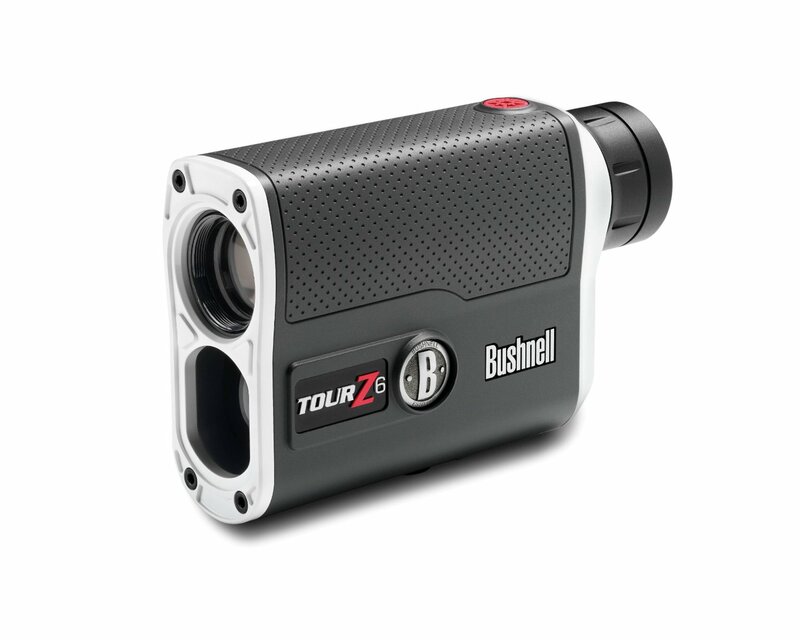 Bushnell Tour Z6 Tournament Edition Golf Laser Rangefinder $399 4.3 Top of the line speed, range, and accuracy. Also top of the line price. We really like the Nikon Coolshot 40i. For not much higher cost than than Coolshot 20, you get a lot of great additional features. 2 Pings/Trackbacks for "What’s the Best Golf Rangefinder?"